↑Reverie III (American Motor Boat). Photographed circa 1941-1942. 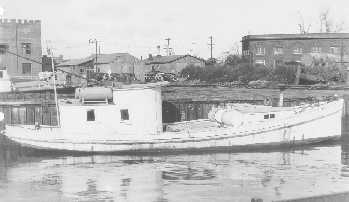 This boat was acquired by the U.S. Coast Guard on 14 August 1942 from Franklin F. Morse of Trenton, New Jersey. She served during World War II as the USCG craft CG-48018. Declared surplus on 14 July 1945, she was delivered on 13 February 1946 to her purchaser, Ralph C. Allen of New York. 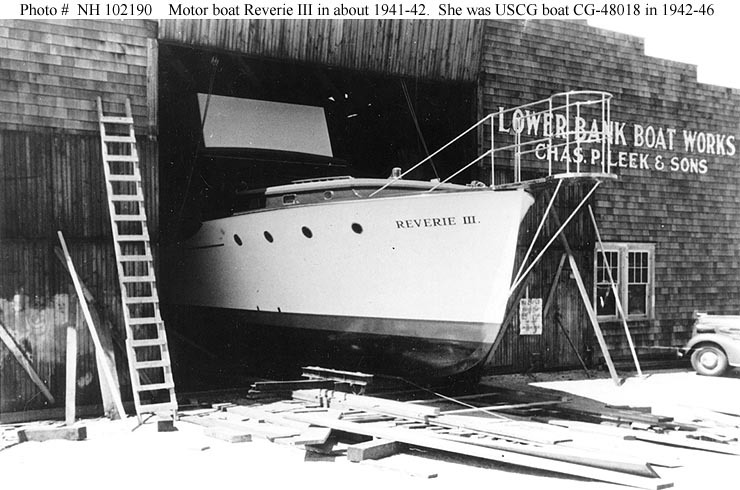 Reverie III measured 16 tons net, 27 tons gross. She was 48 feet in length, 13 feet in beam, had a draft of 3.7 feet and a 150 horsepower propulsion plant. The original print is in National Archives' Record Group 19-LCM. U.S. Naval Historical Center Photograph.